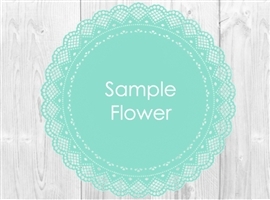 LOOSE FLOWER SAMPLES are a perfect way to see a Natural Touch Flower UP-CLOSE. You can see Amazing quality to the touch and eye! We only provide Samples of Calla Lilies and Roses. All other flowers vary in availability and have to be specially ordered, so samples are not available. - Keep in mind flower availability may vary and therefore we can not guarantee the same flowers will be available later on. - Each Bouquet is hand made individually so the new set of bouquets may not be arranged the same way. It is better so send the bouquet back when ordering a larger set of flowers. WE ARE NOW TAKING UP TO 10 BUSINESS DAYS TO SHIP SAMPLE ORDERS - PLEASE PLAN ACCORDINGLY.